A wide range of door furniture and door hardware. We also offer an equally vast range of door hardware. Are you a builder, shopfitter or renovator looking for a door furniture supplier? Stop in at our store and view the wide range of door furniture on offer from handles, knobs, push and kick plates, escutcheons, hasps and more. Are you looking to increase the security of a door? 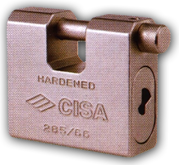 We can offer you the door hardware to maximise the security on any door, give us a call today.